[Episcopal News Service – Lawrence, Massachusetts] Grace Episcopal Church sits on the northern edge of a disaster zone, one that on first glance does not bear obvious signs of disaster. Traffic moves freely. Buildings stand firm. The Sunday afternoon service still draws dozens in this mostly immigrant congregation. Life goes on in Lawrence, Andover and North Andover – but with difficulty and with rising complaints, nearly two months after a series of natural gas explosions killed one resident and left about 10,000 homes without gas service just as the weather began turning colder. Many of those residents, including some Grace Episcopal parishioners, still have not been able to return to their homes, and the region’s utility, Columbia Gas, announced recently it could not meet a mid-November deadline to have service restored to all customers. That delay didn’t come as a huge surprise, given the vast scope of the repairs needed, but “just reading and hearing it was a slap in the face,” said Sadia Jiminian, a member of the congregation who has been living in a hotel with her family while they wait for completion of repairs to their home in Lawrence. The Sept. 13 gas explosions that rocked the Merrimack Valley, a working-class region of former textile mill towns north of Boston, “was a very traumatic experience for everyone involved,” said Susan Almono, whose husband, the Rev. Joel Almono, leads the congregation. The Almonos and other members of the congregation met with Episcopal News Service after the Nov. 4 service to describe the lingering effects of that trauma and their efforts to hold Columbia Gas accountable. At the same time, this crisis has brought local congregations together in ways never before imaginable, the Rev. Almono said. Grace Episcopal is working with Christ Church in Andover and St. Paul’s Church in North Andover to support affected residents with the backing of the Diocese of Massachusetts, and they have formed a coalition with the region’s broader faith community. “All of us, we can see we have the same situation and are working together,” the Rev. Almono said. Investigators determined that the more than 80 explosions and fires, which destroyed five homes and damaged more than 100 other buildings, were caused by highly pressurized natural gas, which flooded the neighborhood system because old pipes accidentally were replaced with new pipes that lacked pressure sensors. The crisis left Columbia Gas scrambling to replace more than 40 miles of pipeline, and many homes also required replacements for furnaces, boilers, stoves and other appliances that were damaged. Elsa Berroa, a Lawrence resident, recalled seeing gas shoot out of her flue on Sept. 13, and a gas smell filled her home. Firefighters arrived and told her and her husband it was too dangerous to remain in the house. Outside they could see the gas surge had caused fires in neighbors’ homes. Berroa and her husband spent weeks living in one of the trailers that were provided as temporary housing for Lawrence residents unable to return to their homes. They were pleased at least that the trailer was in their own neighborhood, and by the time she spoke with ENS on Nov. 4, Berroa and her husband were finally back to sleeping in their own home. Others have not been so fortunate. Jiminian was at work when the gas explosions struck, but her husband and daughter were there to see their furnace catch fire. She returned home to find their Lawrence neighborhood being evacuated by residents hauling away personal items in suitcases and shopping bags. “I just broke down in tears, because I just never thought I’d see something like that in this community,” she said. The family was left without heat or hot water, so Columbia Gas put them up in a hotel in Woburn, about a half hour south. Now they are dealing with a steady stream of inspectors and utility workers as they push the company to replace their damaged appliances and restore gas service. The three Episcopal congregations in the region and their faith partners, as well as a handful of supporting organizations, cited the plight of residents like Berroa and Jiminian in an Oct. 9 letter to Gov. Charles Baker and top utility executives. Nearly two dozen clergy and lay leaders from the region signed the letter, which advocated immediate action to restore heat to homes and better options for replacement appliances. “Those of us in the affected area continue to live without heat, hot water or adequate cooking appliances – a situation that imperils the health and well-being of everyone, but especially the fragile and sick among us,” the letter said. The head of Columbia Gas met last month with some of those faith leaders at Grace Episcopal Church in response to the letter, though the company has been slow to act on the letter’s two primary requests, said Susan Almono, who serves on the board of Massachusetts Interfaith Power and Light, a nonprofit focused on climate change. She described an uphill battle in convincing the utility to replace damaged appliance with high-efficiency models. And rather than install electric-powered heating devices known as air-source heat pumps, Columbia Gas offered families more temporary housing to wait out repairs to their gas-based systems. 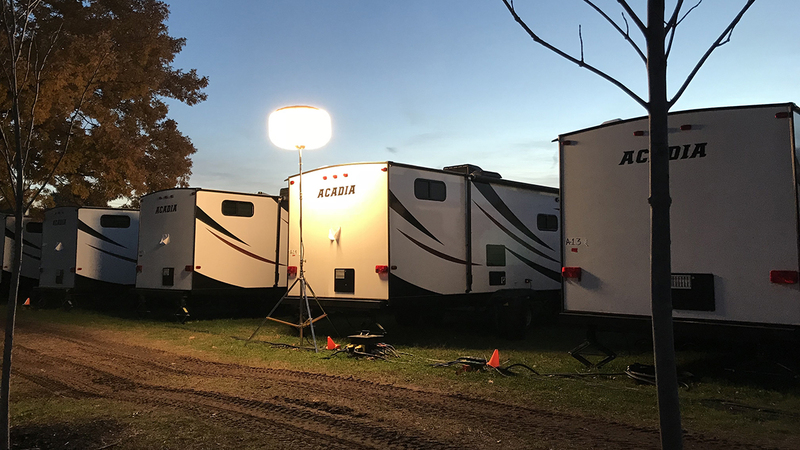 Signs of slow progress could be seen across the region early this week, as a makeshift trailer village filled O’Connell South Common just south of the Merrimack River. 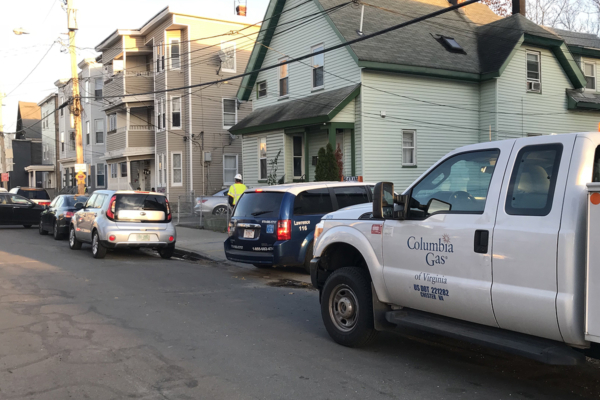 From Andover to the neighborhood known as South Lawrence, Columbia Gas pickup trucks and portable generators were parked on various side streets as utility workers in reflective vests tended to repairs from house to house. With pipeline restoration complete, crews are fully focused on in-home work, Columbia Gas announced Oct. 30. Service had been restored for more than 2,300 residential meters as of Nov. 6, though that still is less than a third of the 7,500 meters serving about 10,000 homes in the affected neighborhoods. One bright spot has been the outpouring of support from Episcopalians around the Diocese of Massachusetts. “The prayers and concern of our entire diocesan family are with those in the Merrimack Valley communities affected by this disaster,” Bishop Alan Gates said in a statement released Sept. 14 that called on congregations in the diocese to collect an offering for disaster relief. The diocese announced Oct. 17 that it had raised $26,000. Grace Episcopal Church also received a $12,500 grant from Boston Episcopal Charitable Society to help residents meet immediate needs. The Rev. Joel Almono said the congregation so far had written 57 checks from the pool of relief money to cover a variety of needs, primarily food and medicine. 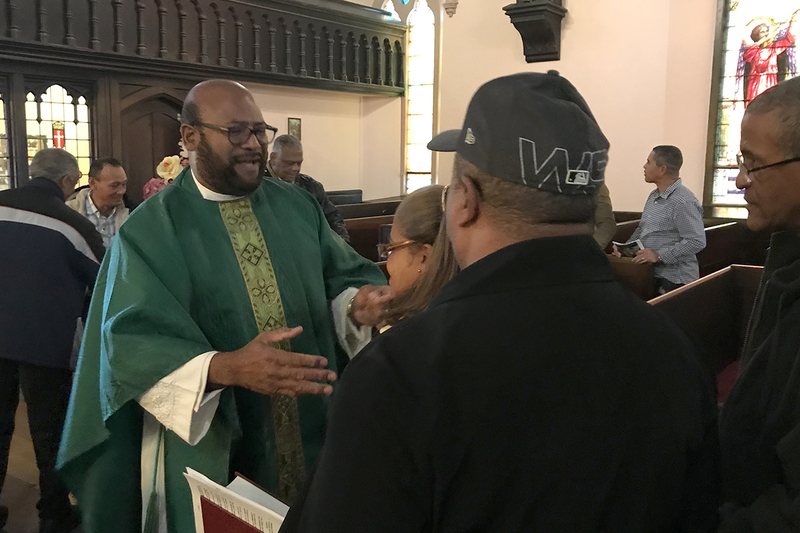 Almono, a native of Dominican Republic like many in his congregation, also noted that parishioners have remained upbeat in the face of this disaster. Even on the first Sunday after the explosions, a diocesan official who was visiting the church remarked how happy the congregation seemed, especially while singing hymns during the Eucharist. Such a show of optimism is a cultural trait, Almono said. “They are a Spanish community. This is their behavior,” he said, but behind that cheerful exterior his community was experiencing and continues to feel real suffering and pain. The post Massachusetts congregations band together in face of slow progress after gas explosions appeared first on Episcopal News Service.